Poster #1 for Sgt. 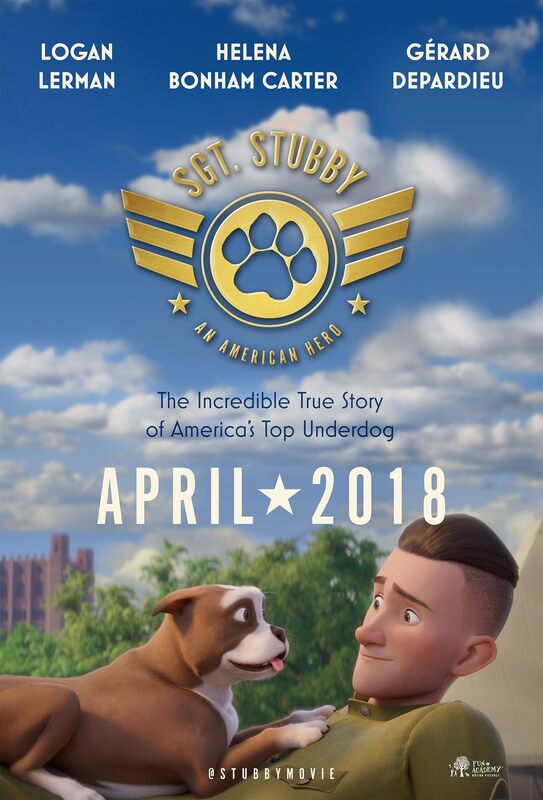 Stubby: An American Hero, which was released on April 13, 2018. The film, starring Helena Bonham Carter, Logan Lerman, Gérard Depardieu, Nicholas Rulon, Christophe Lemoine and many more, currently has a total of one poster available.